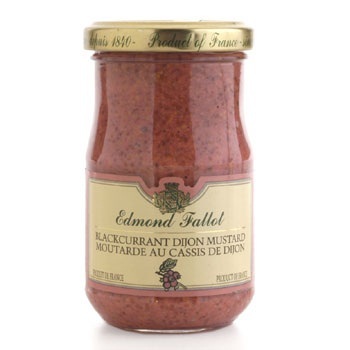 FALLOT pays particular attention to the combination of flavors. The company is not seeking for extravagance but for the enhancement of subtle flavours by the association of original and sometimes exceptional products, due to their origins and their quality. This mustard is the perfect example of such quality. 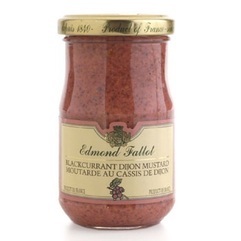 Water, mustard seeds, white wine (may contain sulphites), spirit vinegar, blackcurrant cream from Dijon (blackcurrant, sugar, alcohol) (5,4%), salt, natural flavour of blackcurrant, mustard seed husks, coloring.